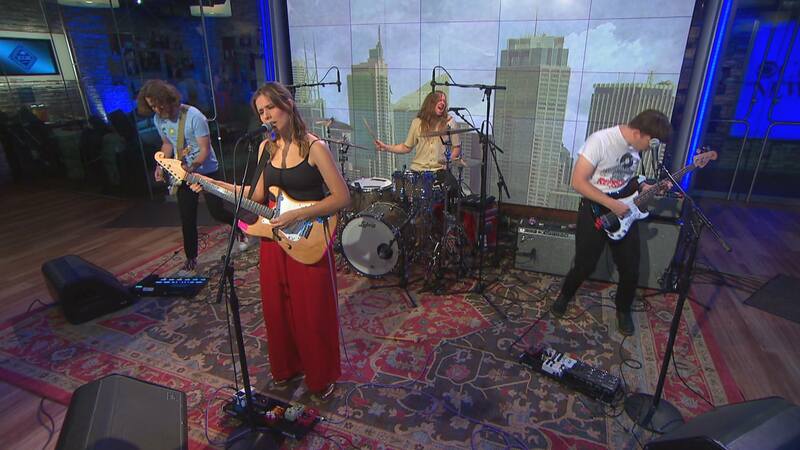 This morning the top-flight Middle Kids showed up on CBS This Morning and built upon the buzz of Friday’s Lost Friends album release (full review imminent). Watch below as the Sydney band (Hannah Joy, guitarist/bassist/producerist Tim Fitz, drummer Harry Day and a guitar-player-to-be-named- later) performed three resounding songs from their magnificent and deft debut album: Edge of Town, Mistakes and On My Knees. This is easily our favorite TV performance by the band to date. You can order Lost Friends HERE. The band will open their world tour in Australia before returning to the U.S. on June 1st (late June in Cali). Go HERE for tickets.